Unsurprisingly, Bean bypassed getting dropped onto a satellite dish by James Bond or jammed on a boat hook by Harrison Ford, instead going for one of the many heroic, stoic deaths that have dotted his career. 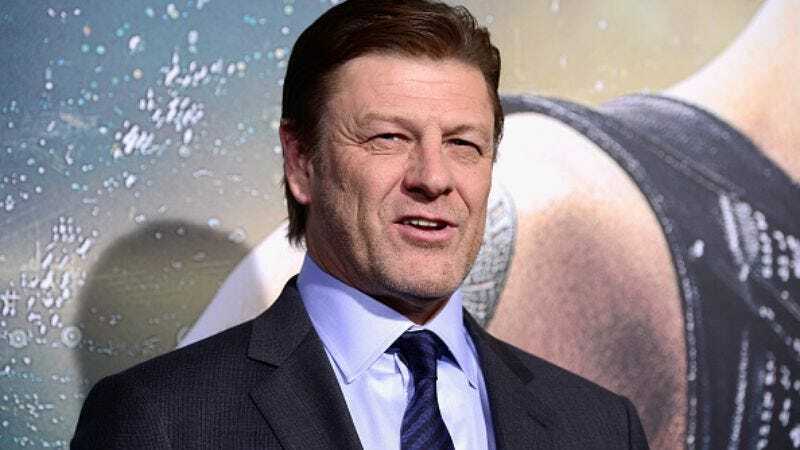 Skipping past Game Of Thrones’ Ned Stark, or his calm poetry reader from Equilibrium, Bean opted for what might be the most iconic Sean Bean death of them all: Boromir from The Lord Of The Rings: The Fellowship Of The Ring. It’s hard to argue with the pick; Gondor’s stalwart son goes down like a champ, filling an entire glade with orc corpses before an Uruk-hai archer manages to turn him into a pincushion. It’s also immensely satisfying, as Boromir redeems himself, both for his attempt to seize the ring from Frodo Baggins and his arrogance toward Aragorn, who he acknowledges in his final moments as his true king. (Bean apparently came up with Boromir’s final line over drinks one night with Viggo Mortensen, Peter Jackson, and the film’s co-writer, Fran Walsh.) It’s enough to bring a noble tear to the eye, and definitely a better exit than getting cow-ed to death in 1990’s The Field.